The average wait time to see mental health care providers at Veterans Affairs medical centers is 41 days. Military veterans are waiting an average of 80 days to meet with a mental health care provider at the Spokane VA Medical Center, falling far short of the 14-day goal set by Veterans Affairs. The problems appear to be grounded in recurring staff shortages at VA medical centers across the country at a time when there’s an influx of men and women seeking help upon returning from foreign wars. Spokane was one of four VA medical centers included in a review of mental health care access by the federal Office of the Inspector General. The other medical centers were in Denver, Milwaukee and Salisbury, N.C. The report released Monday concluded that VA medical centers lack reliable or accurate methods of determining whether they are providing timely access to care. Though 14-day wait periods to see mental health care providers is the stated national goal of VA medical centers, the average wait time turns out to be 41 days. Murray, chairwoman of the Senate Veterans’ Affairs Committee, has called for improvements in mental health care – especially following reports last fall that 18 veterans were committing suicide across the nation every day. Locally, 21 veterans in the Spokane VA service killed themselves during a one-year period from 2007 to 2008, including 14 who had contact with the medical center, but the rate has improved dramatically in later years. The inspector general will testify Wednesday during a hearing on the report’s findings. 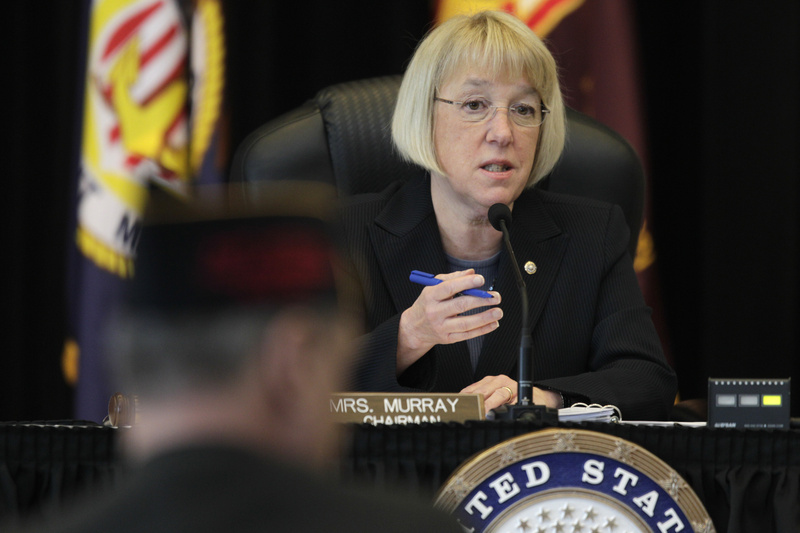 The failure to deliver prompt mental health care to veterans requires a major fix, Murray said. The Spokane VA had five unfilled psychiatry positions out of 11 when the report was conducted. Quinn Bastian, a psychologist who leads the medical center’s behavioral health unit, said he has hired two new psychiatrists and is recruiting three others. “It has been challenging,” he said, noting that it is especially difficult to recruit qualified psychiatrists to sites like Spokane that are relatively smaller in size and that are not linked with medical schools. Another factor in the shortage, he said, was losing staff to retirement and even personal medical reasons. The Spokane VA is opening a new outpatient clinic on its campus that will offer more space and new facilities for its mental health services. Bastian said that the report highlighted the problem of follow-up care for the region’s 5,200 veterans in need of mental health care. He said the medical center focused heavily on getting new patients in the door, as well as having strong emergency psychiatric care. It was the follow-up care – the third-time appointment seekers – where problems with wait times were most acute. The Spokane VA is implementing a new team-based approach to better serve the mental health patients, in effect attempting to adopt a “medical home model” for patients. Bastian said it has already reducing wait times for follow-up care to 40 to 50 days – still high, but better than the 80 days revealed in the report.